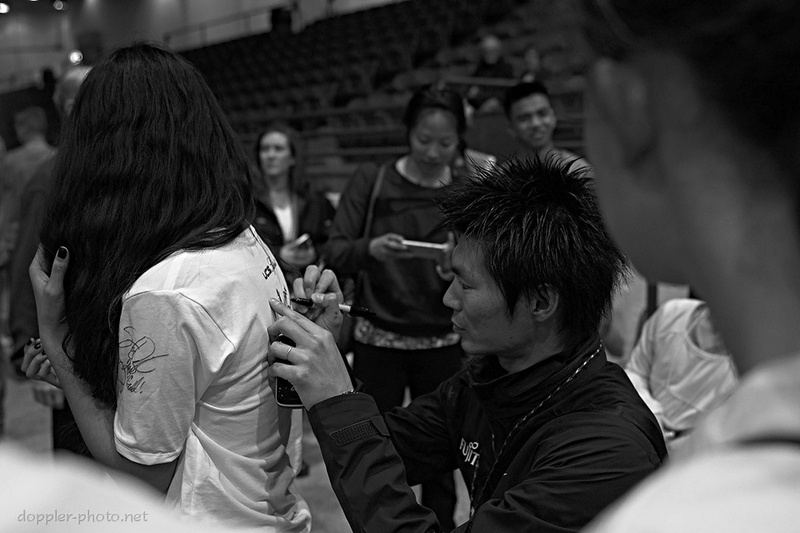 When it comes to sports, heroes are always personal. They're people you can identify with; who are just like you in a lot of ways, but who are extraordinary on certain dimensions. But whatever those dimensions, the feeling is that the differences are in magnitude, not in substance. 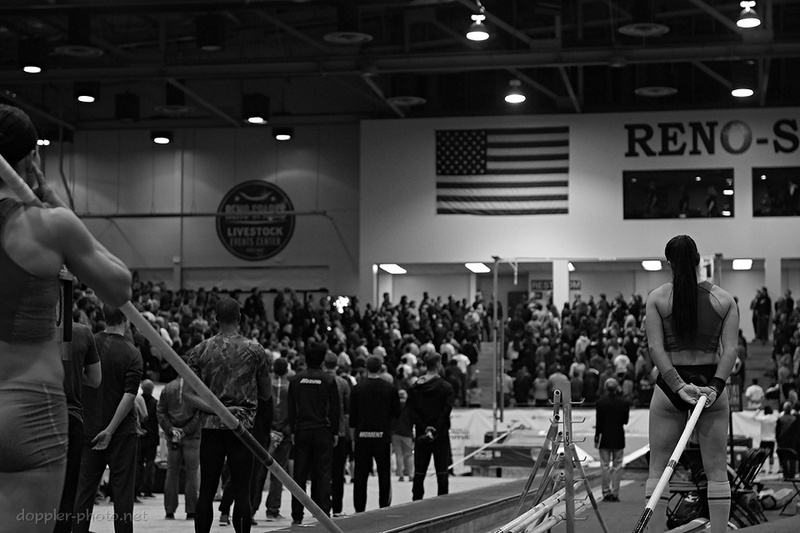 Every year pole vaulters make the trek to Sparks, Nevada not just to see their heroes, but to listen to them, to learn from them, and to be like them. 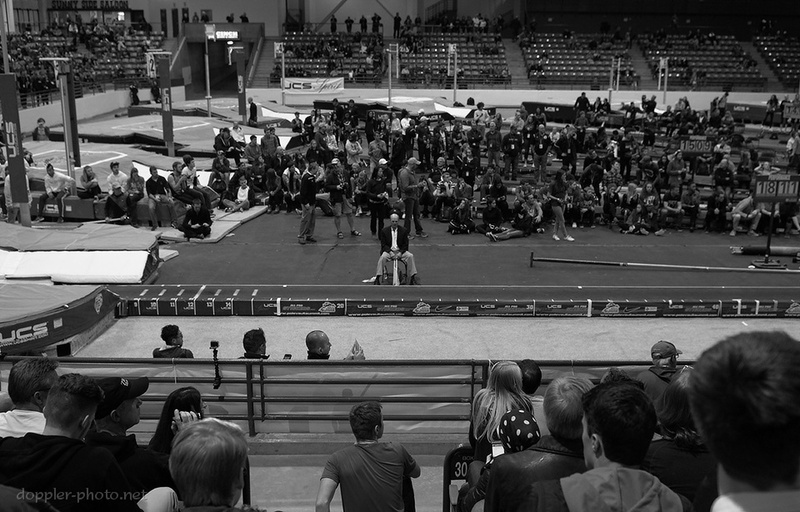 The National Pole Vault Summit is relatively unique in how thoroughly the essence of pole vault permeates the event. 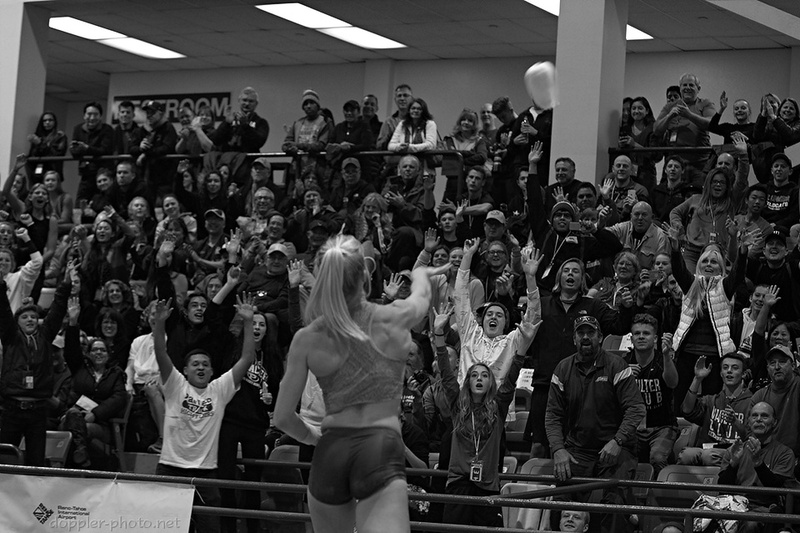 By and large, attendees are (or have been) pole vaulters, or pole vault coaches, or friends and family of pole vaulters. They're folks who somehow have pole vault as a significant part of their lives. And the entire event is a celebration of advancement and excellence in the dimensions pertaining to the vault. 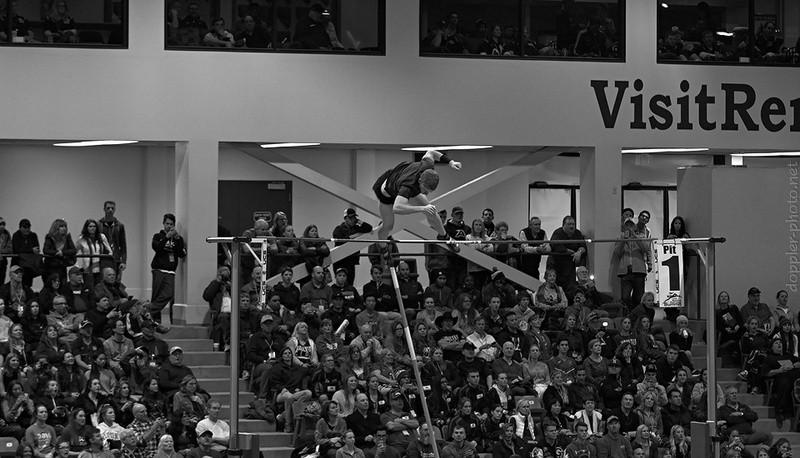 So when people show up Friday evening for the elite vaulter competition, it's not just because they want to see something amazing; it's also because they want to be inspired to accomplish something amazing. We want to imagine ourselves achieving those same triumphs, and that empathy also causes us to share the stumbles as well. There's a special kind of kinship that develops when you look out and see people who are role models in some sense. People who have already encountered and overcome some of the same challenges, and who can shine some light when our efforts to improve feel more like stumbling through the dark. 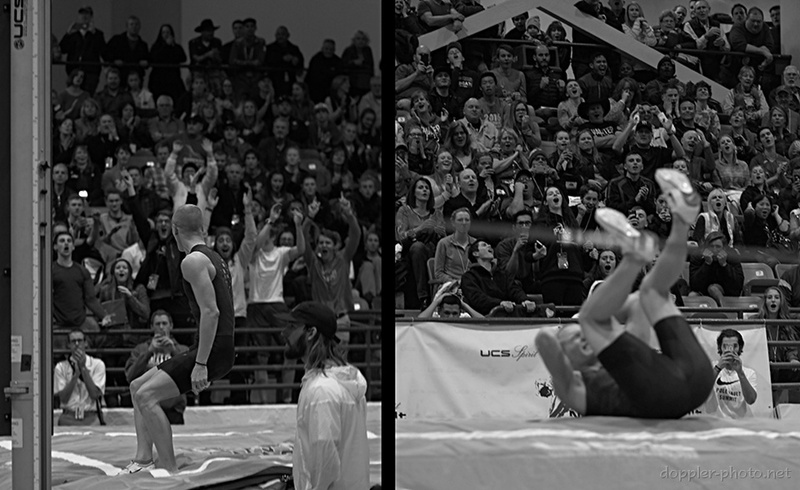 The pros show us how to be vaulters. Or, rather, they show us all the ways that amazing vaulters are still everyday people. They show us, for example, that despite your pre-competition nerves, there's always time to pause for the national anthem. Sometimes they awe us with their ability to jump high. And sometimes they awe us with their grace in frustrating situations. Sometimes they invite us to share the ridiculous, giddy feelings of being surrounded by so many people who are where we once were, and so many others who are where we'd like to be. The sense that we're all kind of in this together, and that when we do our best, we help everyone else to do their best also. 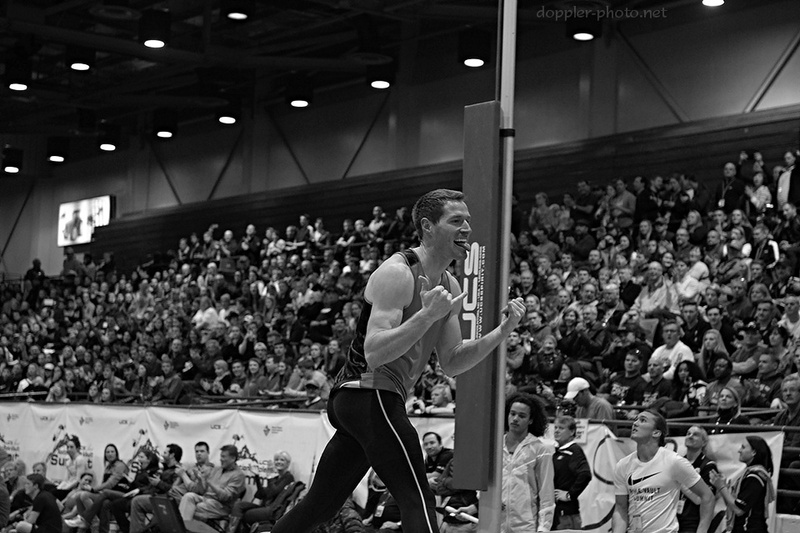 Part of the Pole Vault Summit's magic is the proximity. 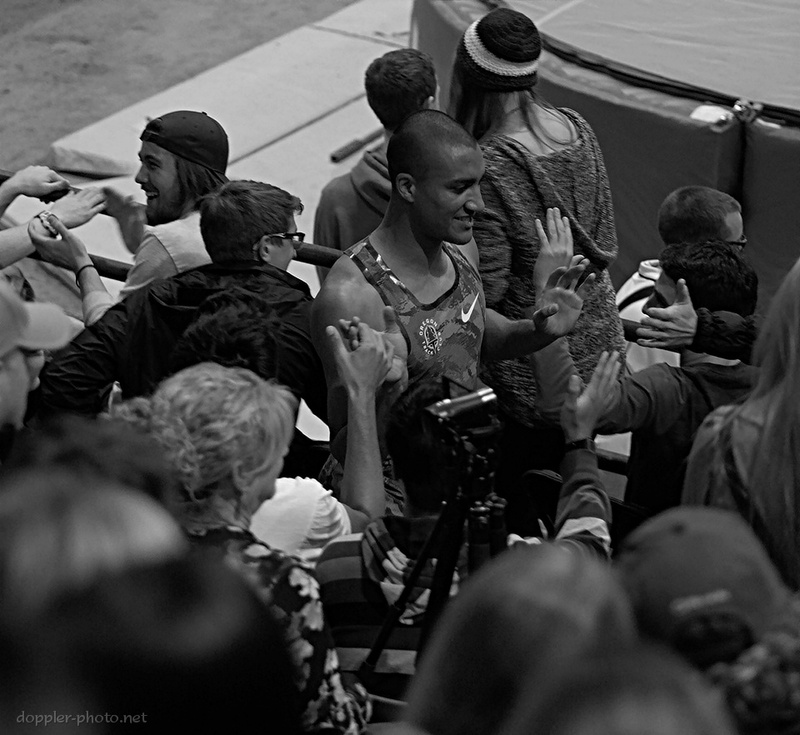 I have never been so close to people jumping so high, and that sense of physical closeness also makes it feel just like a normal meet. It makes it that much easier to imagine myself standing on that runway, clearing those heights, and basking in that spotlight. And when it's all said and done, you can walk up and say "hi."